Sweden’s Robin Soderling booked the fifth spot in the 2010 Barclays ATP World Tour Finals. After his run to the quarters at this week’s If Stockholm Open, Soderling’s guaranteed his second trip to the finals (he made the semis last year). Rafa, Roger, Nole, and Andy Murray have already qualified for the year-end tournament. Doubles: Meanwhile, the team of Lukas Dlouhy and Leander Paes have also qualified for the Tour Finals’ doubles event for the third time. The draw will also feature the Bryan Brothers, Daniel Nestor/Nenad Zimonjic, and Jurgen Melzer/Philipp Petzschner as contenders. 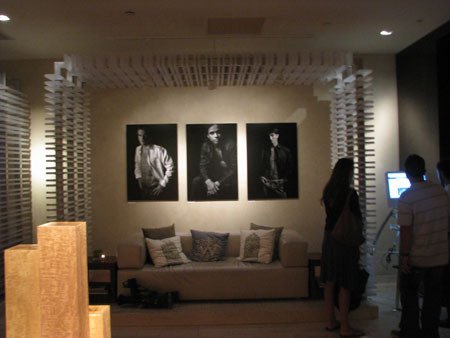 For your consumption: The canvases from all eight singles finalists will be displayed at the La Galleria Pall Mall in London November 8-18, 2010. After that, they’ll be sold through an online charity auction that ends on November 28, 2010. Yep, that’s a smiley face finger-painted onto the artball sportrait done by Novak Djokovic in celebration of his qualification into the 2010 Barclays ATP World Tour Finals, where he’ll join the other top seven guys on the tour vying for around $3.5 million in prize money. Nole banked enough points over the weekend (his semifinal win over John Isner at the China Open in Beijing) to put him in company with qualifiers Roger and Rafa. (Flashback: See the top duo’s art pieces.) At this week’s Shanghai Rolex Masters, Andy Murray also qualified after beating Jeremy Chardy in the round of 16. This leaves four more spots in contention. Bonus round: Catch video from Nole’s artball session here. As if they haven’t hustled enough to get to London — aka the site of the Barclays ATP World Tour Finals, to be held Nov. 21-28, 2010 — each of the eight players who qualify is being asked to create a self-portrait to celebrate their achievement. The set-up: the guys, during the Masters Series stop in Cincinnati, hit paint-covered tennis balls against stenciled canvases showing one of the player’s signature moves. The pieces will be exhibited in Central London in early November; it’ll move to The O2 for the duration of the actual event. And after, it’ll be auctioned off for charity. We can’t wait to see what signature moves they’ve stenciled for Muzz, Nole (tearing off his shirt? ), and Andy Roddick (adjusting his crotch?). Six more spots are up for grabs. He qualified for the year-ending tournament back in May 23, 2010. Jesus. Federer qualified in August 7, 2010. This will be the ninth time he’s participated in the year-end event. Flashback: Of course, this isn’t the first time the boys have been asked to help out with some year-end art. Remember those terracotta statues created by Laury Dizengremel for the Shanghai Masters? And this isn’t the first time the pros have dabbled in ball-art either. Martina Navratilova‘s churned out a few pieces herself. More info: Check out the details (including tickets) for the Year-End finals here and specifically about the Art of Tennis here. Speaking of, we wonder if there’s a follow-up to last year’s ATP World Tour Calendar. TSF would be happy to offer our services to help pick which guys (and which pictures) will end up being used. Oh, and if you’re looking to fill the space for month 13, may we suggest Travis Rettenmaier? You’re welcome. Ivan Ljubicic was the first to scalp a seed at this year’s Mutua Madrilena Madrid Masters. The Croatian wild card broke Jo-Wilfried Tsonga three times, with two of those coming in the second set when Ljubicic rallied from 5-2 down. The final score: 6-4, 7-5. Props to his clothing sponsor, Li Ning, for continually surprising us with novel designs for his on-court kit. This go-’round combines a bright yellow polo with a silver print overlay. More where that came from: Above are some athletic and casual looks from the current Li Ning line. They were showcased as part of the ATP launch of its Chinese-language site. Kudos to whomever dreamed up this graphic for the landing page of the players section on the ATP website. From left to right, that’s Davydenko, Roddick, Djokovic, Federer, Nadal. Murray, Blake, and del Potro. See it: Click on that link above to see it enlarged. Pretty cool stuff. Lleyton Hewitt‘s former management, Octagon, has taken him to court for breach of contracts, and he’s fighting back with a countersuit, citing incompetence and deception on the part of the agency. And while we feel bad that Lleyton can’t catch a break (he received a wildcard to play at Delray Beach this week. and lost. on his birthday. ), it’s always interesting to get a look at what happens to the $60 I fork over for nosebleed seats. In 2005 and 2006, Hewitt earned $6.75 million net in endorsements and appearance guarantees — including $3.5 mil from Nike and $2.3 mil from Yonex. He also received $340,000 in appearance fees for Sydney, Adelaide, and Queen’s Club. Octagon wants a piece of this pie in the sky, but whether the agency was still representing Hewitt for those two years is in question. Meanwhile, Hewitt’s smarting because of a 2002 legal scuffle with the ATP that could’ve been smoothed over by Octagon. After declining a on-camera interview as part of promoting the 2002 U.S. Open, Lleyton got slapped with a $100k+ fine. The ATP considered the interview compulsory; Hewitt thought he’d already fulfilled all his obligations. He spent another $100,000 only to have the ATP decision upheld, albeit with a much smaller ($20,000) fine. Let’s hope he doesn’t bleed too much more money settling all these matters — he doesn’t have a lot of tennis-playing years left! Our normally testy UPS delivery man must have been having a good day because we received a package on the first attempt! We are now the proud owners of a pair of Re-Up Lux sneakers, a collaboration between Orchard Street and Reebok. This is one of two recently released “teaser” pairs for an expanded collab line, images of which can be seen here. And we also received packages from both the SEWTA and ATP World Tour that contained each group’s media guide, which includes pronunciation tips for players’ surnames. Hopefully, this’ll make us less of a tool at Indian Wells, where we spent most of the 2008 repeatedly sounding like a total gringo (“Gilles Simon“, “Camille Pin“, and “Alize Cornet” come to mind). Dork out: The SEWTA has its own book, while the ATP provides an edition that combines the men’s and the ladies’ info. Get a copy of the latter here. finally, they leave kolya alone! Having exhausted their leads, the ATP gives up on trying to pin the Russian for match-fixing. I hope Kolya, whose momentum got effed up by all the bad press brought on by this scandal, recovers his spot as a legitimate top-fiver on the tour. 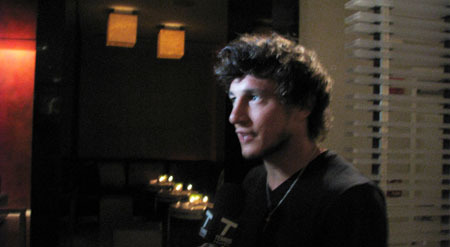 TSF was lucky enough to drop by the launch party for the ATP World Tour 2009 Calendar at the W Times Square. The tour enlisted the help of a few good men — Dmitry Tursunov, Juan Monaco, Ivan Ljubicic, Paradorn Srichaphan, Paul-Henri Mathieu, Mikhail Youzhny, Tommy Haas, Marcos Bagdhatis, Tomas Berdych, Mike and Bob Bryan, Fernando Gonzalez, and Tommy Robredo (who isn’t so green about disrobing for the camera) — to pose for the 13-month skin-baring pin-up. We were joined for champagne by Dima, Juan, and Juan’s doubles partner Maximo Gonzalez. Too bad French photographer Corinne Dubreuil, who shot these guys in Paris last year, wasn’t around for the event; you bet we wanted to ask her about shooting these shower pics of Arnaud Clement and these of Kolya Davydenko. The ATP’s Chris O’Neill came up with the idea for the calendar while roaming the grounds of the Countrywide Classic. He watched Dima get mobbed by women (“who wanted to have his baby, who wanted to marry him” — all these crazy things) and realized that there was a side of the sport that wasn’t getting showcased. And we’re grateful for his idea. Buy: Pick up the calendar for $13 at TW. Daniel Kaplan at SportsBusiness Journal is all over the lawsuit filed the organizers of the Hamburg tournament against the ATP. At the core of this debate is whether the ATP is seen as a professional league (which, under U.S. law, is allowed to collude and pool television rights, set schedules, and set terms for athlete participation) or if it’s just a loose group of businesses who all happen to run tennis tournaments. A loss for the ATP could spell trouble for the WTA and other individual sport orgs like the PGA and LPGA tours. Here’s what Kaplan wrote up two weeks ago (on July 7). Subsequent articles to follow. In 14 days, the ATP World Tour will square off against one of its tournaments in a Delaware courtroom. At stake: Not just the future of men’s tennis, but perhaps the governance of all non-team sports. Barring a settlement, the antitrust case could determine just how far a rules-making body can go in setting tournament schedules, compelling players to compete in certain events, establishing a ranking system and awarding sanctions. These functions are claimed not only by the ATP, which is being sued to undo a series of schedule changes, but also by other entities ranging from the PGA Tour to Olympic federations. “An ATP loss would set a dangerous precedent for professional sports governing bodies … that make all sorts of decisions that primarily affect the players regarding format of play, where they are going to play their tournaments, the number of events in which they will participate [and] how the players are going to be ranked,” said Rick Karcher, director of the Center for Law and Sports at the Florida Coastal School of Law. 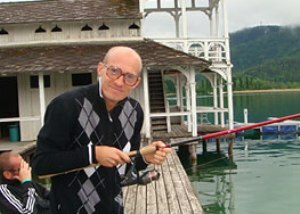 He also has written about the case as a contributor to the Web site sportslawblog.com. short balls: santoro wants to shine, the fall of cruella de villiers, and centre court’s ready to go! Centre Court is ready to go: The fixed roof is back, along with the two main trusses for the retractable roof (which’ll debut in 2009). And a continued thumbs up for their increase in equal prize money for the men and the women. — She turned down a cameo role on Desperate Housewives. — On her celebrity: “I still find my celebrity weird – it’s always weird, you know, when I see my image on the cover of a magazine. That’s very, very strange. I remember for a while I had been getting a lot of praise from people, but I never felt as though I deserved it until I had won grand slams and held the world No 1 ranking. And then I thought, ‘OK, all that talk, I understand it now’. But before then it was just random.” I hope she’s ready to possibly accept a Teen Choice Award for Female Athlete of the Year in early August. Nole’s blogs: The Times‘s interview with Nole touches on his blog. “Well I like to have fun with it,” he says. “Most of my fans are younger people and I don’t think they want to read stuff like ‘I played a good match today. My forehand was going well. My backhand was not so good’. These things are not interesting. What is interesting is what the players are doing in the locker rooms. Are they good guys? Bad guys? How are they off court? Of course, I never go too far with these things but always to the limit, just to make them laugh. I get a lot of positive feedback.” Awesome. Why America is fat: Read about EaterLA’s post on the birth of the Starbucks Frappucino. Beautiful acne: The oft-bowtied Alber Elbaz has jumped into bed with Acne, the Swedish denim brand who is also behind the reissue of Bjorn Borg‘s iconic Tretorn shoes. This collaboration will drop at Barney’s and Bergdorf in November with jeans, dresses, tuxedo jackets, belted trenches, and a few accessories. The snapshot above is Kolya trying on his dad’s red spectacles. Long live geek chic! Nick called it: Monica Seles and magician Penn Jillette were the first two to be eliminated on Dancing with the Stars this season. Merger mania: The Sun-Sentinel‘s Charles Bricker keeps his fingers crossed for a merger between the ATP and the SEWTA. The shirt is not for sale: Those of you jonesing for that grey adidas (“A. Dassler, State”) tee that the pros have been training in won’t be able to find it in stores (adidas made a very limited run for their VIPs). Cry some more: Watch this animated and moving video about founder Adi Dassler. And when you’re done… To lift your spirits, check out the latest adidas Originals pieces. Some of those windbreaker/track jackets are effin gorgeous! In case you missed it, the tourney website for the PBZ Zagreb Indoors is simple, pretty, easy to use, and innovative. It might not have all the bells and whistles of a major tourney website (e.g., video streaming, live scoreboards, etc. ), but it has some gems — like suggesting visitors to look for the tournament venues on Google Earth. And it’s not disastrous like Doha‘s. At this point, anything is better than Doha‘s. But most fun is the use of the ATP’s “Feel It” campaign into the website. The animal paired with Mario Ancic — some great whites — feature prominently in the landing page. trophy watch: i call him “melo yellow”; a japanese phenom; mama murray must be happy, etc. This one’s for you, Mikey: Our Sa Watch 2008 begins with the duo of Marcelo Melo and Andre Sa — locals — winning the Brazil Open doubles trophy over Albert Montanez and Santiago Ventura. Leave it to Andre to wear yellow socks on the court. Cute. Meanwhile, it was a battle of the lankies as British fourth seed Andy Murray took out Croatian Mario Ancic 6-3, 6-4, at the ATP Open 13 in Marseille, France. In Delray Beach, Kei Nishikori surprised everyone (including finalist James Blake) with this impressive 6-3, 1-6 and 4-6 upset. Our buddy Ichizo took this video of Kei while playing against Zack Fleishman in Japan last October. By the way, look out for Ichizo to launch his japanese language tennis blog sometime soon. This is one of the few times I’m sad that I don’t know Japanese. That, and everytime I can’t read anything in Men’s Non-No aka the best magazine in the world. A beaut! The Proximus Diamond Games tops itself with a racquet encrusted with 2008 diamonds (get it?) totalling more than $1.5 million. 1,611 of those diamonds are on the ball itself. Unfortunately for Justine Henin, who beat Italy’s Karin Knapp, 6-3, 6-3 in the final match, she has to win the tournament three times in five years before she takes home that puppy. It’s not an impossible feat, though; Amelie Mauresmo did the same last year and took home the first diamond trophy. Singles: Sorry, guys. I was too crushed by the early loss of Guga Kuerten in singles (and doubles, actually) at the Brasil Open to care about who won. Props to Nicolas Almagro for besting mainstay Carlos Moya 7-6 (4), 3-6, 7-5. Lastly, Flavia Pennetta wore her multi-collared Sergio Tacchini all the way to a title at the Vina del Mar tourney in Vina del Mar, Chile. Her opponent: Klara Zakopalova. The ATP got a bunch of the guys to sing ‘Jingle Bells’ on camera. They’re such good sports… Many of them didn’t even know the lyrics to the American Christmas song, but they played along anyway. Jarkko Nieminen has trouble with the word “dashing”, Marcos Baghdatis discovers a discrepancy in the song’s rhyming scheme; and Mardy Fish feels a little lost singing a version of it without the word “Batmobile”. But they all work through it. Ivo Karlovic carries a lot of the song, as do the Bryans and Tommy Robredo (can he visit me on Christmas morning?). Andy Murray and his shag make a brief appearance, too. Hmmmmm, where was Nole during all this? He would’ve given us a shirtless carol, no doubt. Watch it: ‘Jingle Bells’, by the ATP Tour. Lest you think the WTA is the only tour being criticized by its own members for how they treat injuries, here’s crush ng bayan Andy Roddick‘s blog post on being fined for pulling out of last month’s Paris Masters Series tournament. His reason for withdrawing: prepping for Tennis Masters Cup Shanghai and Davis Cup, plus nursing a tweaked ankle (sustained a week prior in Lyon).